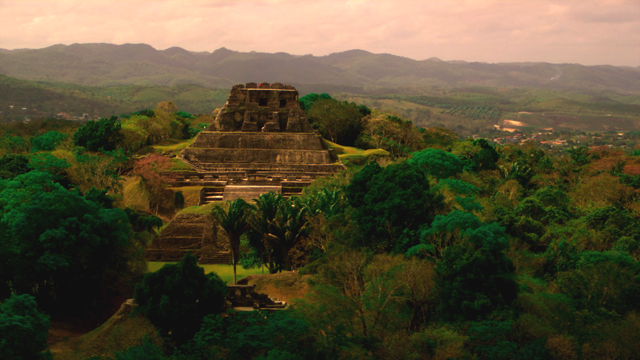 Many people head to Belize to see Mayan temples and archaeological wonders. But many don’t realize that Belize can be a great destination for avid outdoor enthusiasts. Belize’s rich combination of lush jungles, vibrant eco-systems and exotic wildlife makes it a destination to consider for eco-adventure travel. Because 40 percent of the country under some form of legal protection, hikers in Belize can see nature’s unspoiled beauty at its best. The country offers stunning hiking trails, laced with abundant foliage and rare plant species. The country also boasts spectacular caves, reserves and sanctuaries, which provide endless opportunities for hiking exploration. Here are some of the top 10 hiking destinations in Belize, compiled by the Belize tourism board. Shipstern Wildlife Nature Reserve: Located near Corozal, in the northeast corner of Belize, Shipstern Wildlife Nature Reserve contains 32 square miles of forest, savanna and wetlands for hikers to explore. These unspoiled habitats of well-known Belizean insects, birds and mammals consist of both hardwood forests as well as the rare Kuka Palm forest – the only dry forest of Belize. A butterfly aviary, botanical trail and natural history museum, along with magnificent trails located throughout the reserve, help tourists to become immersed in and appreciate Belize’s jungle at a new level. Rio Bravo Conservation Area: Located just a short ride from the Mennonite community of Blue Creek, the fascinating Rio Bravo Conservation Area consists of captivating tropical rain forests, which hold over 200 species of trees and 12 endangered animal species. Hikers can observe an incredible variety of animal habitats along these trails, as the conservation features jaguars, pumas, howler monkeys, deer and more. Neighboring Blue Creek also houses around 400 species of birds, including the national bird – the Keel-Billed Toucan. The Mountain Pine Ridge reserve is one of the best destinations. The reserve’s Hidden Valley falls are considered one of the best in the world with a height of 1500 feet. Half Moon Caye Natural Monument: Half Moon Caye Natural Monument, situated in the southeast corner of Lighthouse Reef Atoll, is an exclusive hiking destination located on a secluded caye (island). Harboring a bird sanctuary, which was established in 1981 to protect the Red-footed Booby bird, the picturesque island boasts scenic views of the Caribbean Sea and exotic wildlife. In fact, Half Moon Caye Natural Monument is a known habitat of the unique and colorful frigate bird, along with 97 other diverse species. Numerous bird watching platforms, perched high above the lush foliage, can be found throughout this caye, providing hikers with breathtaking views high above the trees. Hokeb Ha Cave and Tiger Cave: This cave is a 20-minute hike from the village of Blue Creek, and is accessed by swimming into the opening through a pool of cool water. Inside, visitors find stalactites and stalagmites, leading from one chamber to the next. Archaeologists have found many Late Classic ceramics, as well as an altar inside the cave, leading them to theorize that the Hokeb Ha Cave was used specifically for ceremonial purposes. The calm water at the main entrance is perfect for a leisure swim, and the one-of-a-kind view inside makes this a must-see for any hiker. Cockscomb Basin Wildlife Sanctuary: Southwest of Dangriga is the admired Cockscomb Basin Wildlife Sanctuary, consisting of 128,000 acres of extensive tropical trails, featuring the largest concentration of wild cats in the world. Known as one of the best areas in Belize for experiencing authentic jungle life, the Cockscomb Basin, situated at the base of the peaking Maya Mountains, was established in 1984 to protect its large population of wildlife that call it home. Lucky visitors will catch a glimpse of a jaguar, while most will encounter just their paw prints, along with numerous species of medicinal plants, mammals and birds that populate more than 20 miles of trails. Visitors to the Cockscomb Basin can also enjoy scenic views of the towering waterfalls and explore its beauty in the surrounding rivers and creeks via canoe, tube or kayak. Five Blues Lake National Park: This 10-acre park is surrounded by more than 4,000 acres of limestone hills and tropical forests, and is home to 217 different species of birds. Forest trails crisscross the park, leading to the caves and sinkholes that dot the landscape. The first national park to be managed by a community-based organization, here the locals have set up camping sites and small bed & breakfasts for travelers wishing to fully experience the amazing park. The terrain in the Mountain Pine Ridge Reserve contains native pine forests and is ideal for hiking and mountain biking. Mountain Pine Ridge Forest Reserve: Known as the only true pine forest in all of Central America, the Mountain Pine Ridge Forest Reserve is one of Belize’s greatest hiking destinations. Its sweeping views cover nearly 300 square miles and provide endless opportunities for adventure seekers. The enchanting forest features remarkable changes in wildlife and landscapes, from distinctive Belizean birds and butterflies, to pristine rivers and plummeting thousand-foot waterfalls. The waterfalls, occasionally referred to as the Hidden Valley Falls, are considered to be one of the 100 best waterfalls in the world. 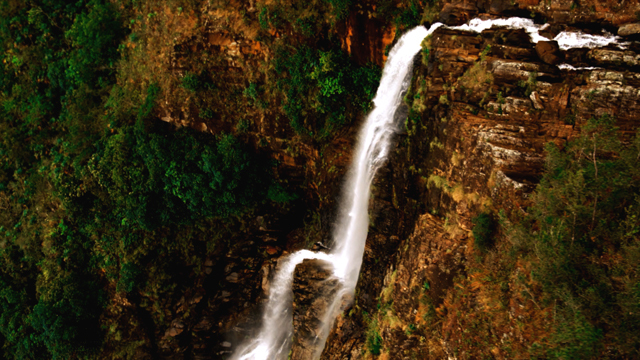 With a total height of 1,500 feet, the brilliant falls literally must be seen to be believed. And, the terrain within the Mountain Pine Ridge Forest Reserve is not only ideal for hiking, but biking and horseback riding as well. The Sapodilla Cayes Marine Reserve:Covering approximately 78 square miles of clear blue water and sandy cayes along the southernmost tip of the Belize Barrier Reef, this reserve is one of the most scenic spots for hikers along Belize’s coastline. Situated at the southern point of the reserve, Huntington Caye is known to have one of the most beautiful beaches in Belize, and offers spectacular scenery and perfect conditions required for a peaceful rest after hiking. Mayflower Bocawina National Park: Offering a truly unique hiking destination for travelers, the Mayflower Bocawina National Park contains 7,000 acres of beautiful jungle, tranquil streams and roaring waterfalls set amongst the unexcavated Maya sites of Maintznun and T’au Witz. This destination was declared a National Park in 2001, and is located just off the Southern Highway, close to the town of Dangriga. Blue Hole National Park: This beautiful park offers much more than the rare Keel-Billed Toucan, Red-Legged Honey Creepers and White Hawks that make their homes here. It also houses magnificent geological wonders, such as a sinkhole formed by a collapsed underground river channel. The steps of the Blue Hole lead into a 25-foot deep pool of cool turquoise water, surrounded by dense forest and hanging vines, making this hiking destination a splendid surprise at every turn. For more information on hiking in Belize, visit www.travelbelize.org. 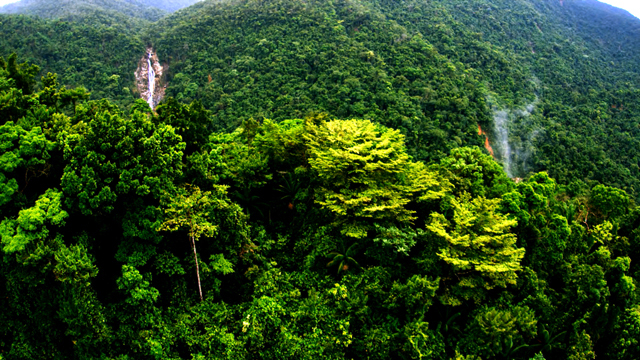 We are looking for an adventurous hike through the jungles in Belize. A 5 to 7 day hike with some Mayan sites. Off the beaten path with a guide might be nice. Maybe one or two towns or site along the way but we don’t want a tourist package with a lot of frills. Do you have any thoughts? It’s extremely difficult to navigate through an unfamiliar country, especially off the beaten path. Our suggestion would be to contact a travel agent who could put you in touch with some reliable local guides who can help you plan for a safe trip. You can start by contacting http://www.travelbelize.org.